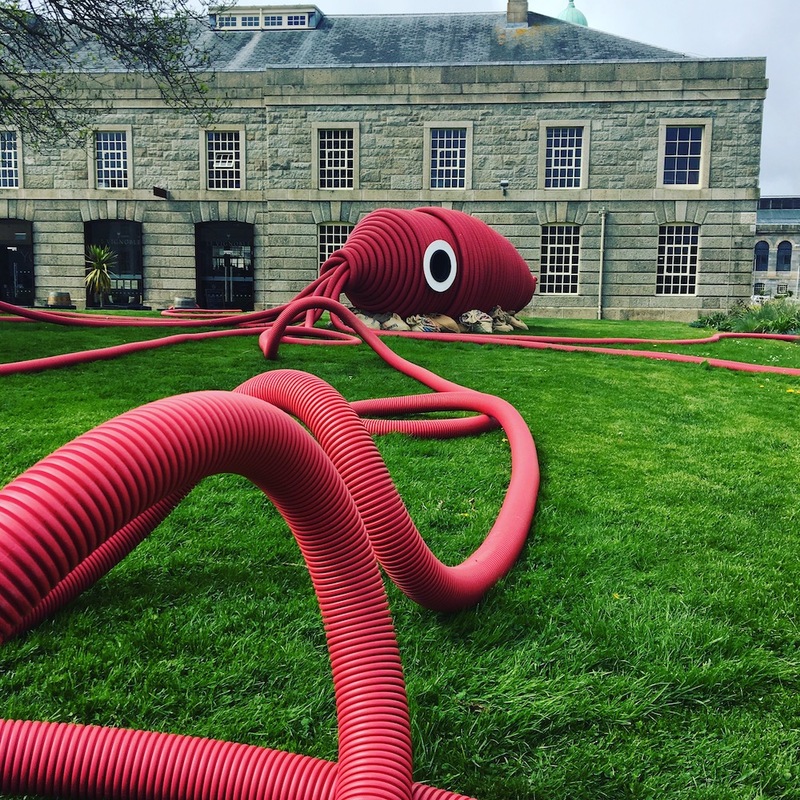 If you’re a Plymouth native, then I’m sure you’ll agree with me that the development of the Royal William Yard into a handsome waterside destination has made for an awesome addition to the city. And, if you’re not a local, then heads up – it’s definitely a reason to plan a visit alone. BUT, I’ve always felt that the one thing this spot lacks is an option for an indulgent sleepover. 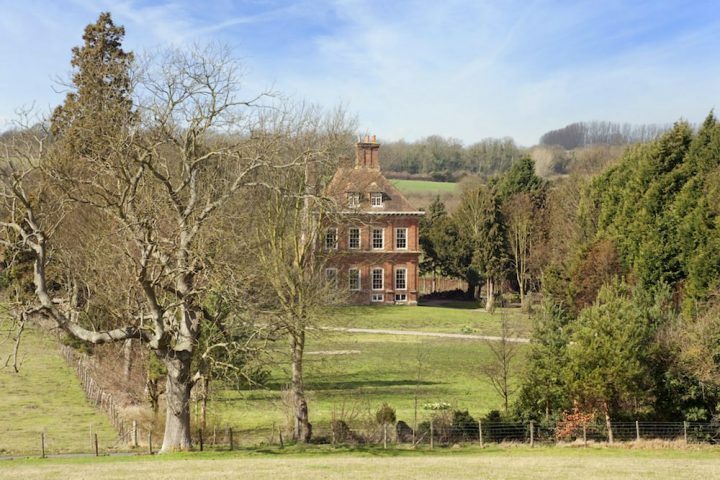 You can shop, mooch, dine out and drink cocktails – but the icing on the cake would be to ditch the car and make a weekend of it, no? 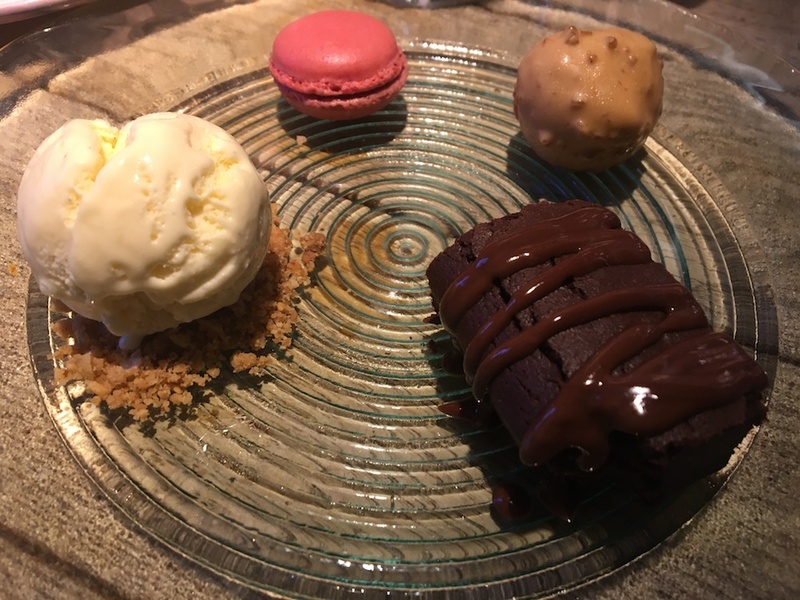 Well, it seems I wasn’t alone, because I am beyond excited to tell you that the hospitality Gods have worked their magic and finally delivered us a little beauty, in the form of Rooms by Bistrot Pierre. 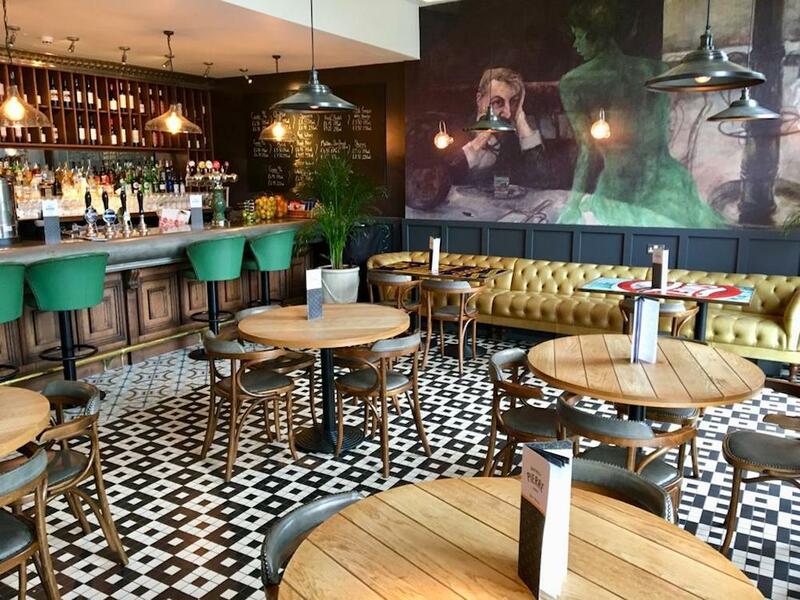 Within weeks of the doors opening this autumn, Muddy checked in to experience the newest addition to this little corner of town – and more. 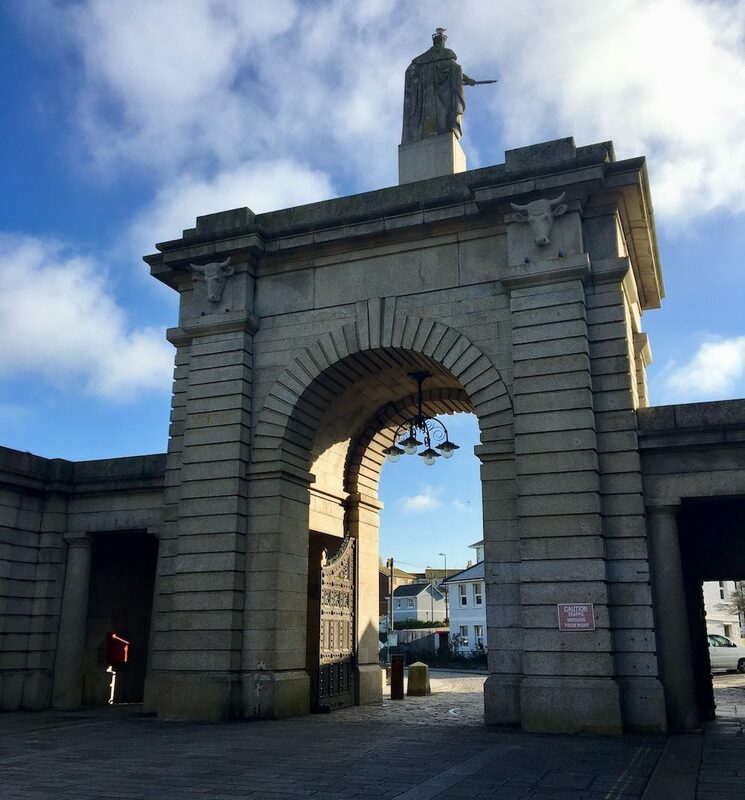 So, what actually is the Royal William Yard? 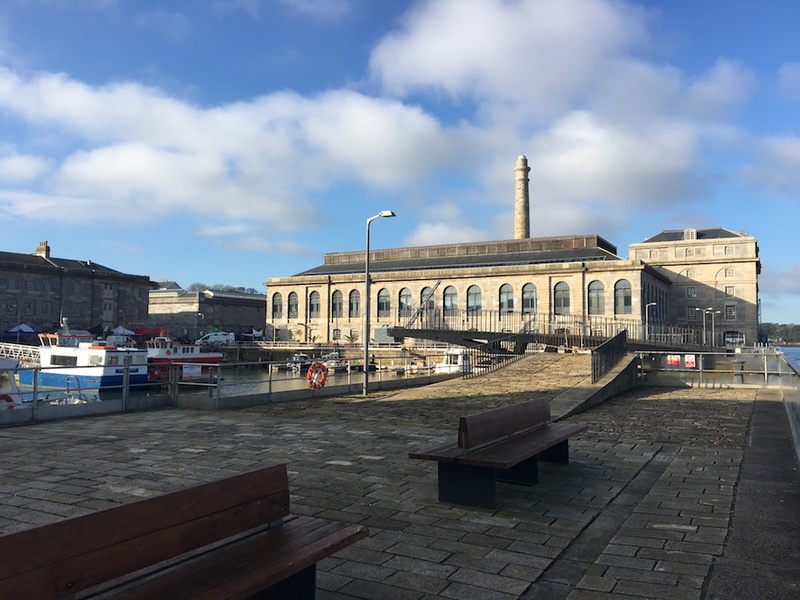 Well, this Grade I Listed ex-Naval victualling yard has in recent years been transformed from a derelict site, into a thriving hub in Plymouth. Along with some swanky apartments, there are lots of restaurants and bars, as well as art galleries, boutiques and event spaces. Plus, the Yard is home to a monthly Good Food Market, along with a packed programme of events during the year, from outdoor cinema, to awesome light festivals (there’s one coming up in November, Illuminate if you fancy it – I highly recommend). It’s one of my favourite places to go and blow away the cobwebs, followed by a decent coffee and I never tire of the pretty waterside views. You can reach the Royal William Yard easily enough, being a 5-10 minute cab ride from the station and set away from the main city centre; parking is a cinch, too, with plenty of it within the Yard itself and, my top tip – just behind it, you’ll find a free car park at Devil’s Point (the 5 minute walk from there takes you along the waterfront, passing Drake’s Island). Mind you, if you’re staying at the Rooms, your parking on-site is included, so you’re sorted. 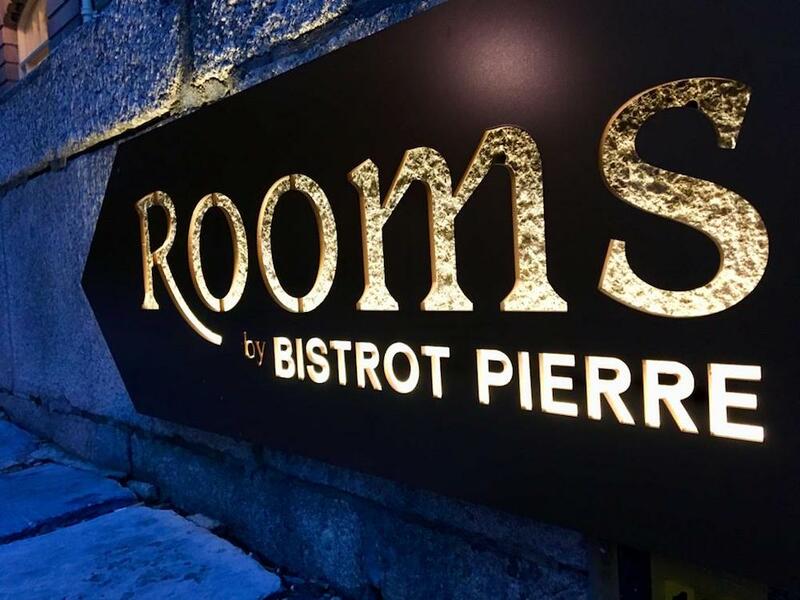 Rooms by Bistrot Pierre is – well, exactly that! Located across the green from its well-established and always nicely busy restaurant, the 14 bedrooms occupy the beautiful Grade II Listed Georgian Residence One building. It’s the second offering of its kind from the French restaurant chain (with one other in West Yorkshire) and works much like a B&B, the only difference being that the two buildings are separate. You park up, pop into the restaurant to check in (mind the squid) and then you’re taken over to your room and shown the ropes. It’s a simple set-up, in that there is no guest lounge, reception desk or any other facilities and you’re given a key to let yourself in and out. But if you need anything, you just phone, or pop over to the restaurant – and the team are keen to help. I’d say it’s ideal if you just want a simple night or two away and need a cool, convenient base. We quite enjoyed being able to keep to ourselves and having the freedom to come and go as we pleased. 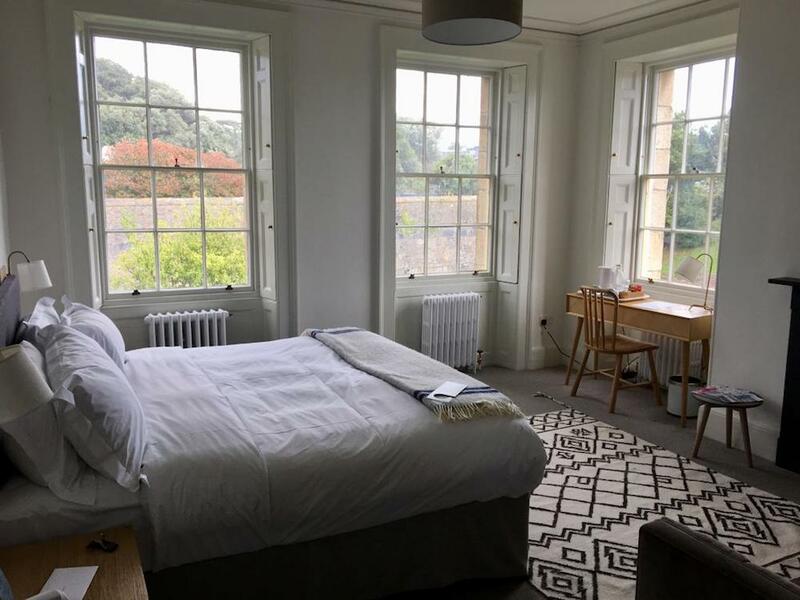 The rooms themselves are simply, but stylishly decorated, allowing the period charm of the building to be the real show off – and rightly so; it’s a gorgeous building of grand proportions, set in lovely grounds. There are a range of room sizes, from double up to a suite and we had a super king/twin, which can sleep up to 3. 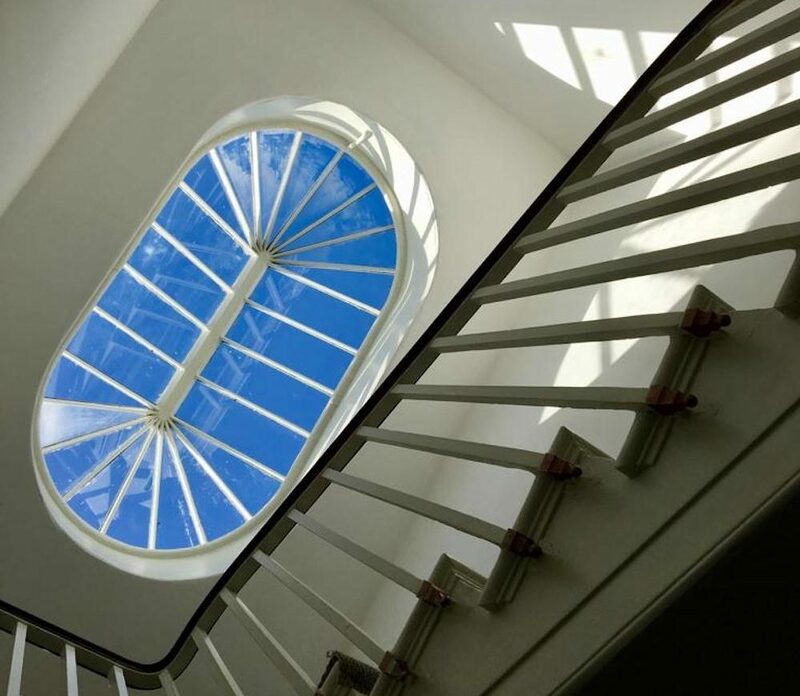 We loved the modern touches, along with the original features, like working shutters, fireplace and huge windows. It’s a peaceful place to kick back after a day exploring and comfortable, too. 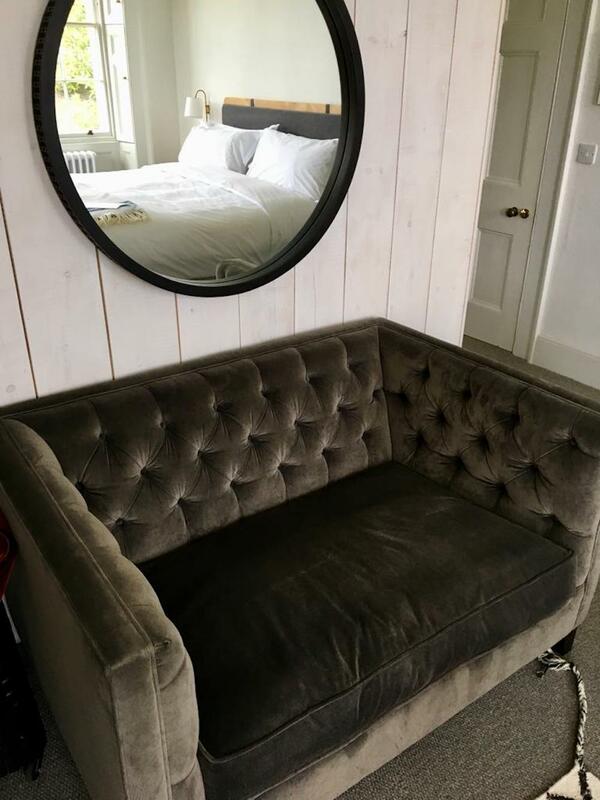 The bed was suitably plumpy, with duck and goose feather duvets and pillows and the shower did what it was supposed to, powerfully. With free WiFi, huge Freeview TV and the usual tea and coffee-making facilities, there’s nothing to complain about, at all. 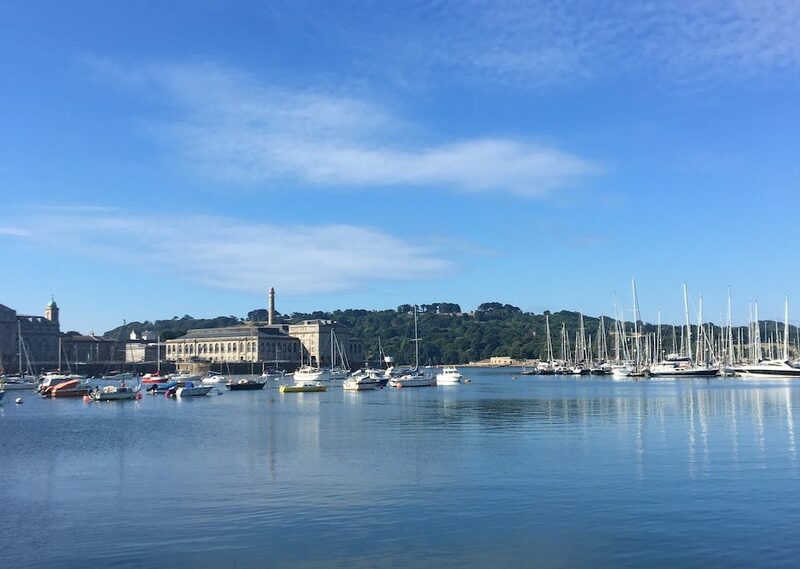 While it’s perhaps not high-end luxury, it delivers everything you’d want from a city break base – and God knows Plymouth needed somewhere like this. 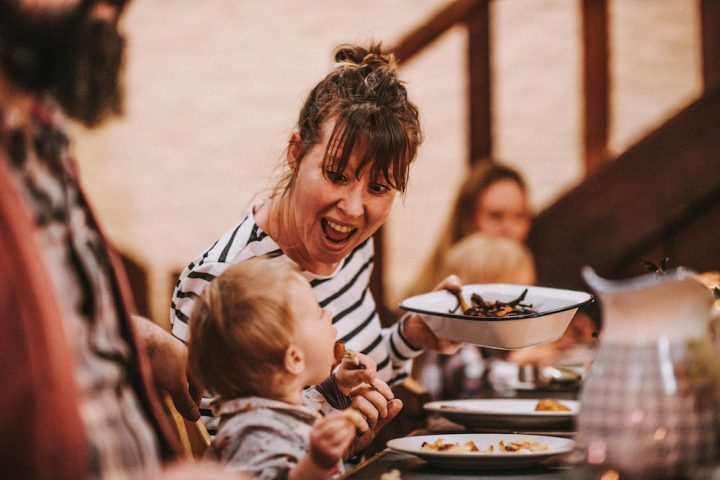 There is plenty on offer, right on your doorstep, although, since your room rate includes breakfast (and there are some very reasonable Dinner, Bed & Breakfast packages to be snaffled), you’ll want to head over to the Bistrot at least once. We ate both dinner and breakfast here because it was all just too flipping easy and, on a cold, stormy autumnal night ease was high on the agenda. 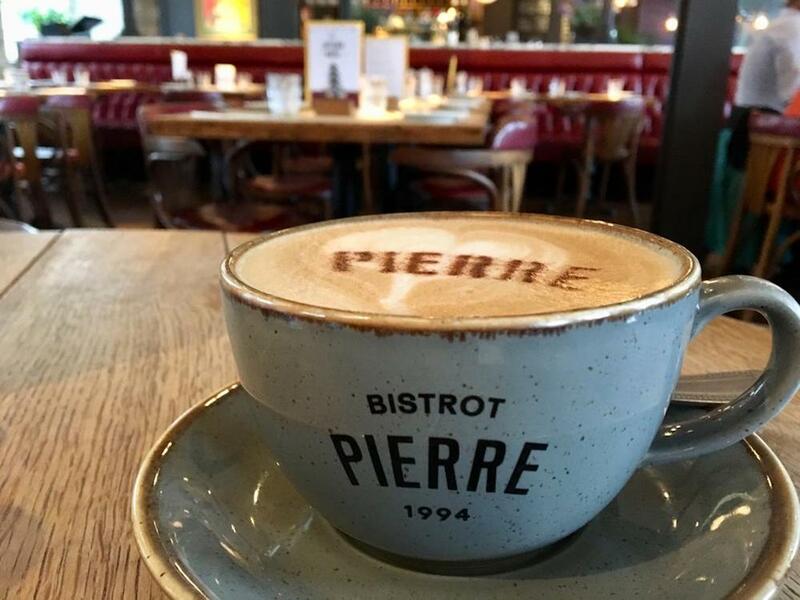 You’ll probably be familiar with the offering of Bistro Pierre, but if you’re not then expect good French cuisine in a buzzy atmosphere. It was the university’s graduation week when we visited, so it was really lively and full of families dining together. Mr Muddy polished off his steak, while I, as always, made the most of the pudding menu, opting for a bit of everything! The food and service was spot on at both dinner and breakfast – great coffee too, the next morning. Yep, definitely. The larger rooms can fit a small person easily and the restaurant is very child-friendly. As a side note, we’ve visited for breakfast independently on a Sunday morning on several occasions and the staff always make a fuss of the Mudlet (she used to love playing peek-a-boo with the chefs in the open kitchen). 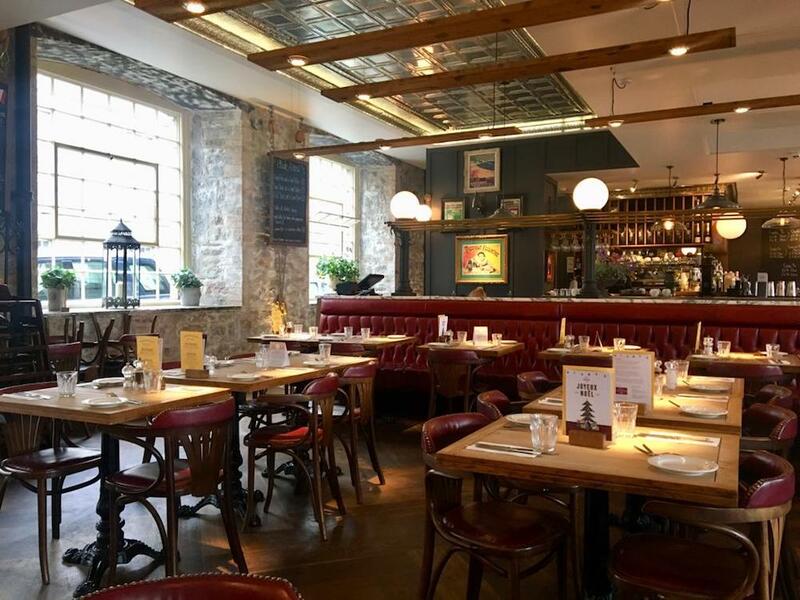 So, this is definitely a part of Plymouth that’s become known for its restaurants, including respected chains like Wagamama and Wildwood and more indie offerings from Column Bakehouse and, just outside the Yard, a Muddy fave, The Hutong Cafe. 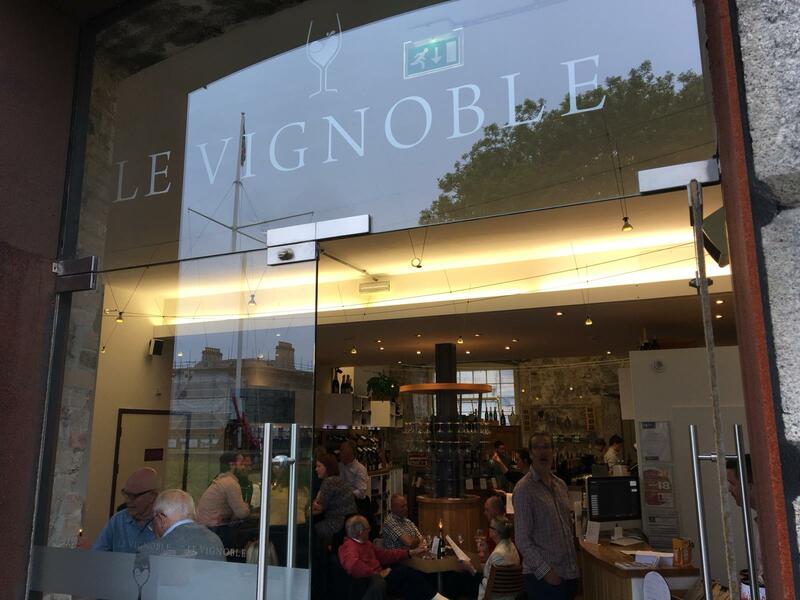 There’s also a super-stylish wine lounge, Le Vignoble which I highly recommend for both atmosphere and offering, including lots of brilliant wine-tasting evenings with owner Yannick. 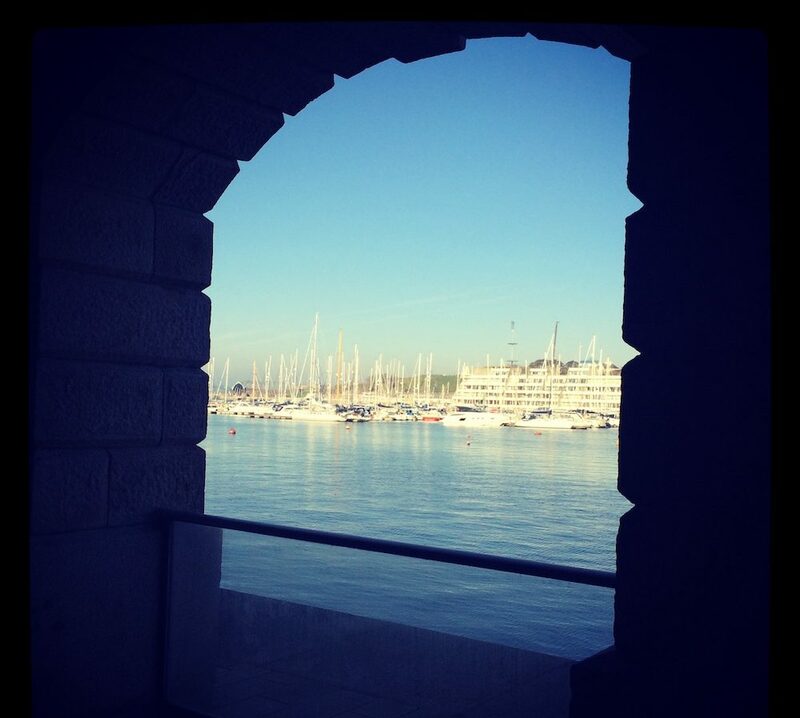 But there is a lot more to the Royal William Yard these days – a lot more. 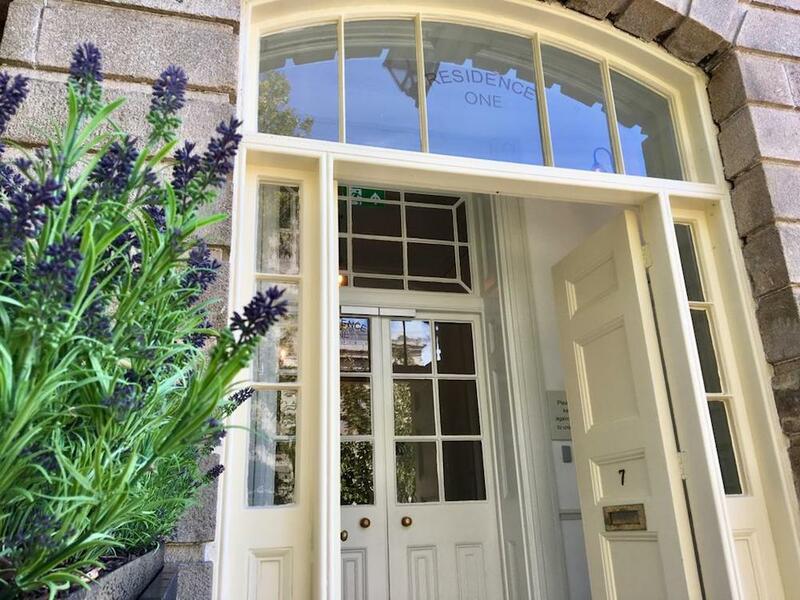 You can book in with a team of top stylists for a pamper at Yoke the Salon, or go explore the various talented makers at Ocean Studios, maybe even book onto a workshop, depending on what’s going on during your visit. In the warmer months, leading into early autumn, you might be lucky enough to catch some evening outdoor music down at the Firestone Arches and, if you’re feeling up for it, take a sunset SUP session right alongside the Yard. We were super-impressed by the gathering of locals in this little corner of the yard, cosied up in deckchairs with beer in hand, many post-SUP, despite the blustery weather. It is a pretty special place to wind down on a Friday night, for sure. 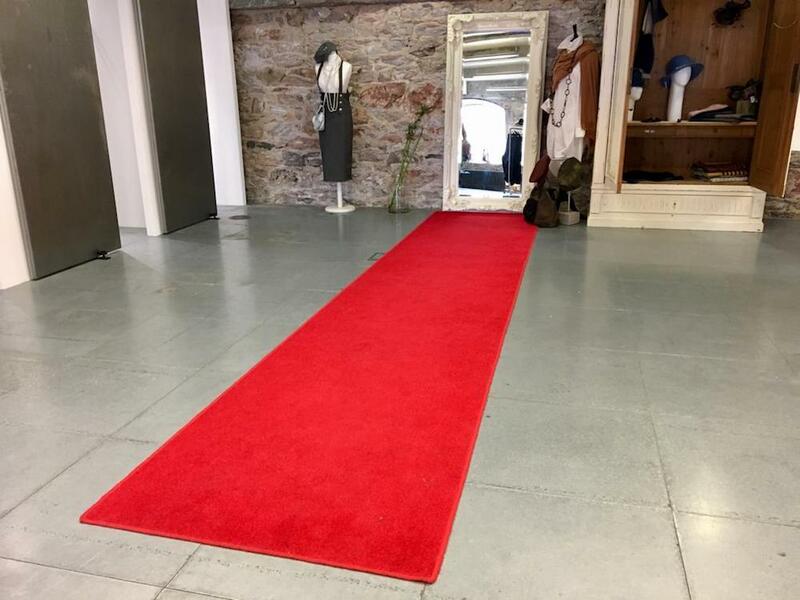 A big highlight for me was receiving the red-carpet treatment (quite literally) at the Yard’s only boutique, Identity Fashion. 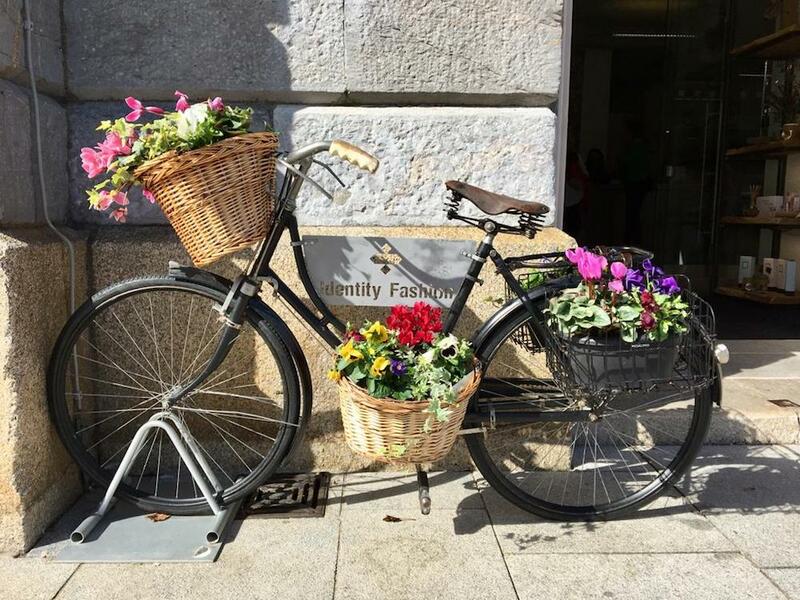 This predominantly women’s clothing brand, with Bulgarian origins has only recently taken up residence in its new, much bigger store a minute’s walk from Residence One and what fun it is to shop there. Owner Denitsa Avramova is a woman with an eye for more quirky, high-end pieces, many of which are designed by her. 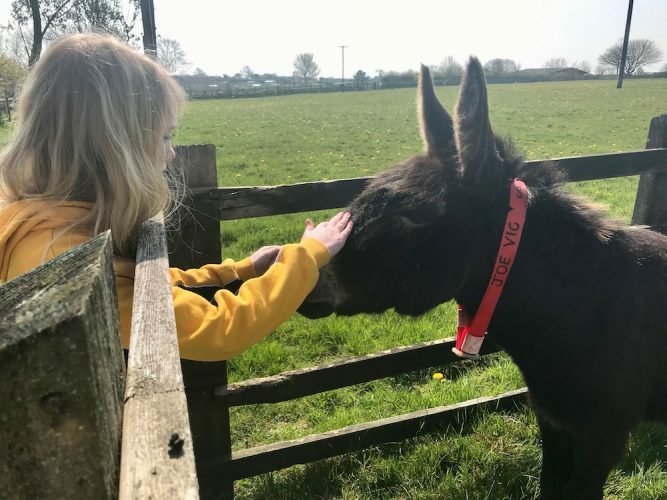 She rightly admits that her clothes need to be worn to be appreciated, since they can look a little – well – complicated on the hanger; and so she offers a truly personal service, unlike anywhere else you’ll find on the high street. I had a whale of a time trying on armfuls of clothes, being accessorised by Denitsa. She’s fun and persuasive, without being in any way pushy. 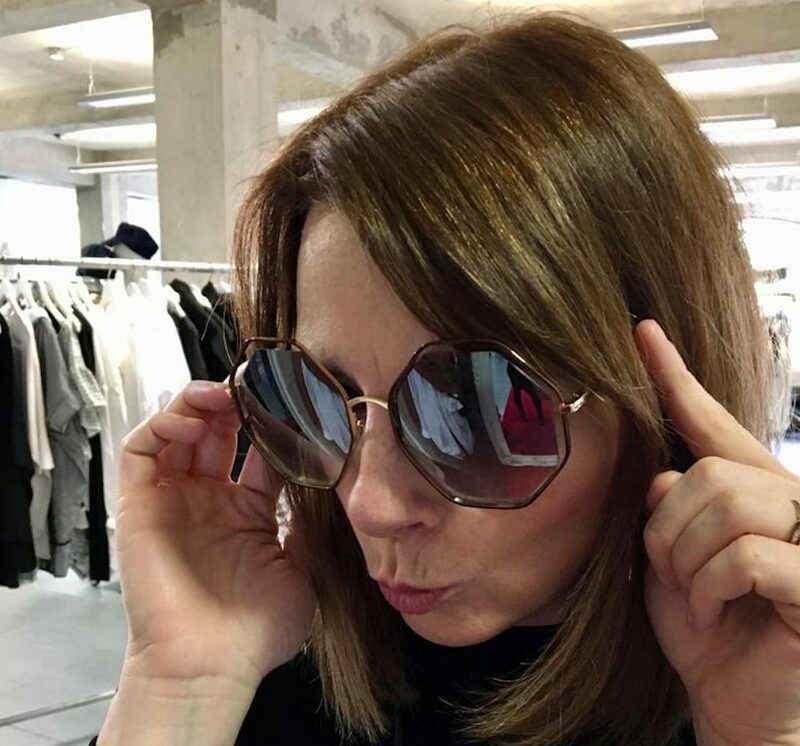 The clothes, accessories and jewellery collection is gorgeous and affordable (with the odd eye-watering price tag, on a pair of Chloe sunglasses, for example) and just the ticket if you’re looking for something individual and (almost) one-off. 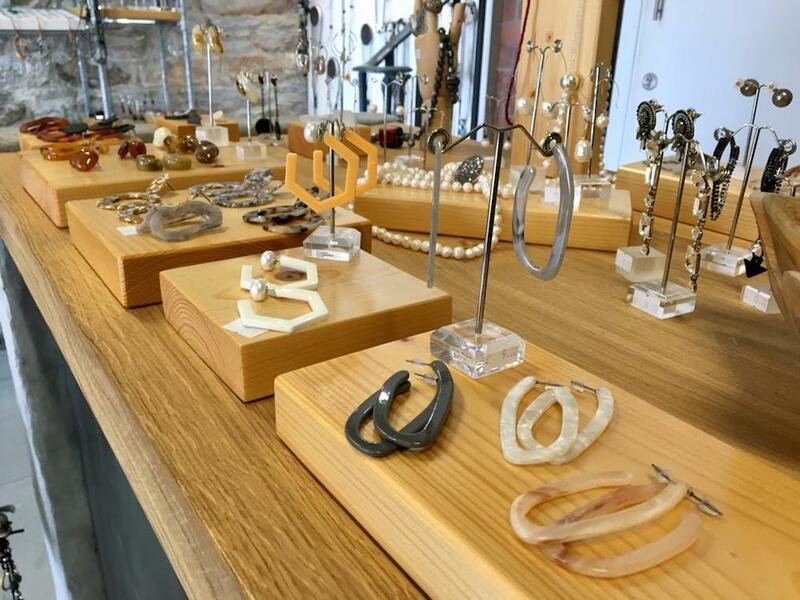 If you’re a local, by the way, Identity offers jewellery-making workshops and bespoke parties for small groups of girls, wanting to pop a cork and shop – I so would, it’s a great idea! I could go on and tell you to hop on the little ferry which takes you into town via the Barbican, or simply hit the coastal path, but honestly? I think you’ll be more than happy sticking within the confines of the Yard if your stay is brief. 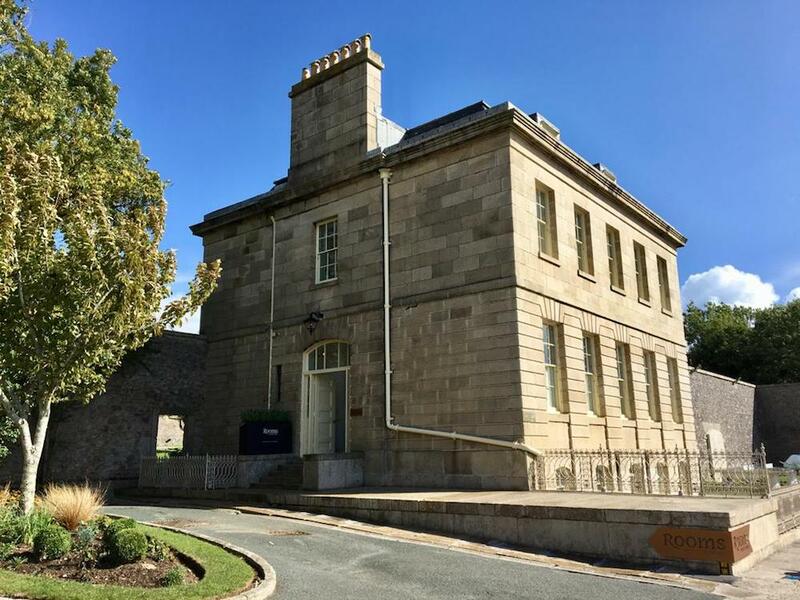 Good for: those looking for a simple, uncomplicated base to stay; couples and families who appreciate modern touches blended with period details; anyone hoping to see some of the best that Plymouth offers right on their doorstep. 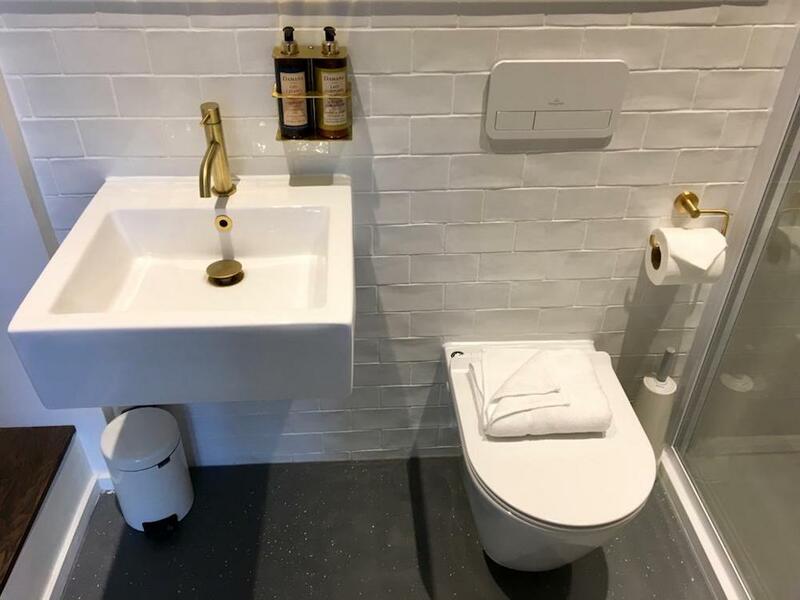 Not for: disabled access is, sadly, an issue due to the constraints of being a listed building, with no lifts and some rooms being up several flights. There are rooms on the ground floor, but some steps are still involved. ££: Super-reasonable rates with seasonal packages available. 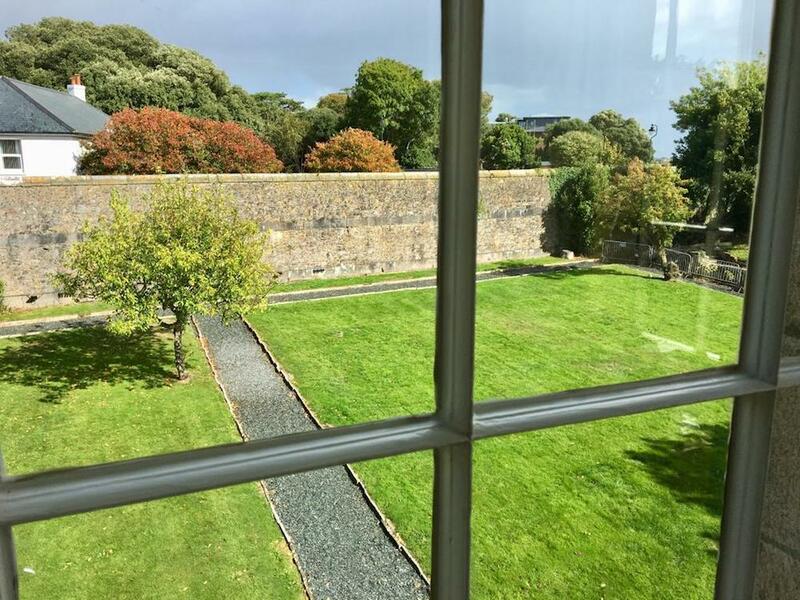 A Dinner, Bed & Breakfast rate in November between Sun-Fri starts at just £150. Restaurant prices are also nothing out of the ordinary, so all in all, a very affordable option considering its very desirable location.